Dirty Dishes a kick-in-the-pants harmony-driven roots trio promises a show consisting of delicious harmonies washboard fiddle guitar and uke sassy song writing and killer charm. Often backed by their rhythm section “The Plate Rails” the Dishes have spent over ten years breaking hearts and soothing souls at theatres fairs festivals and events throughout Canada. From house parties to city squares to Performance Arts Centres these girls always cause a ruckus! 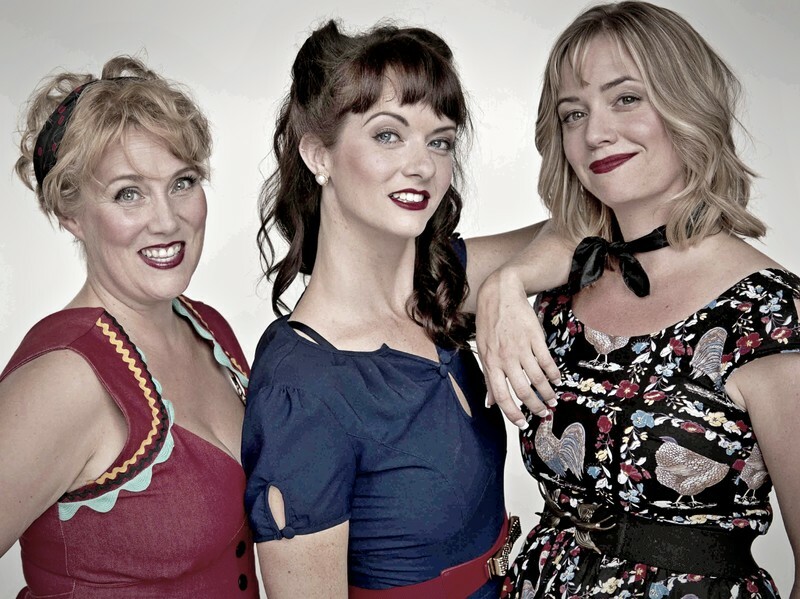 The ladies have three full length albums under their belt and a fourth due out this fall, another rootsy romp of trad and original material showcasing the Dishes’ sweet harmonies!